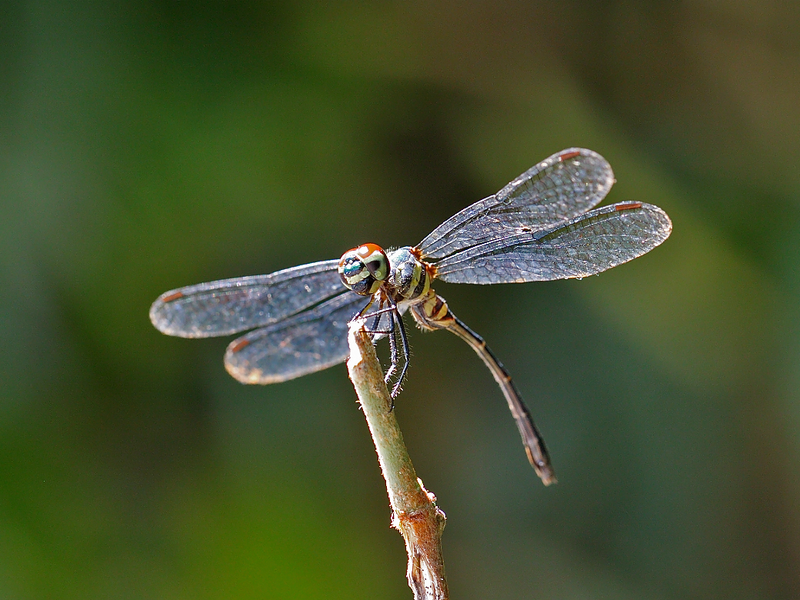 This small and stout dragonfly was first recorded in Singapore in Dec.2004 in a pond in the Singapore Botanic Gardens – as stated in the book “Dragonflies of Singapore”. 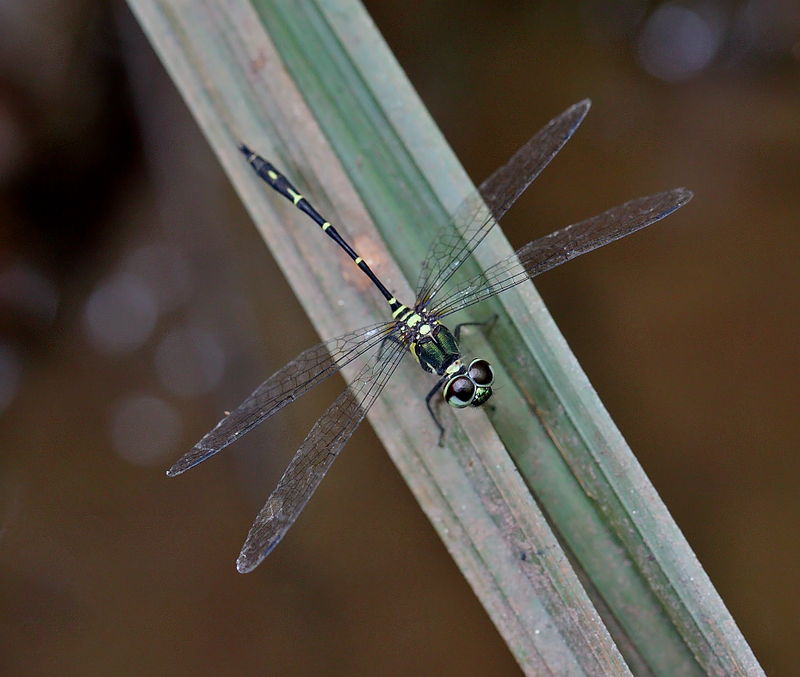 It is a rare dragonfly which is found in weedy ponds and reservoirs. 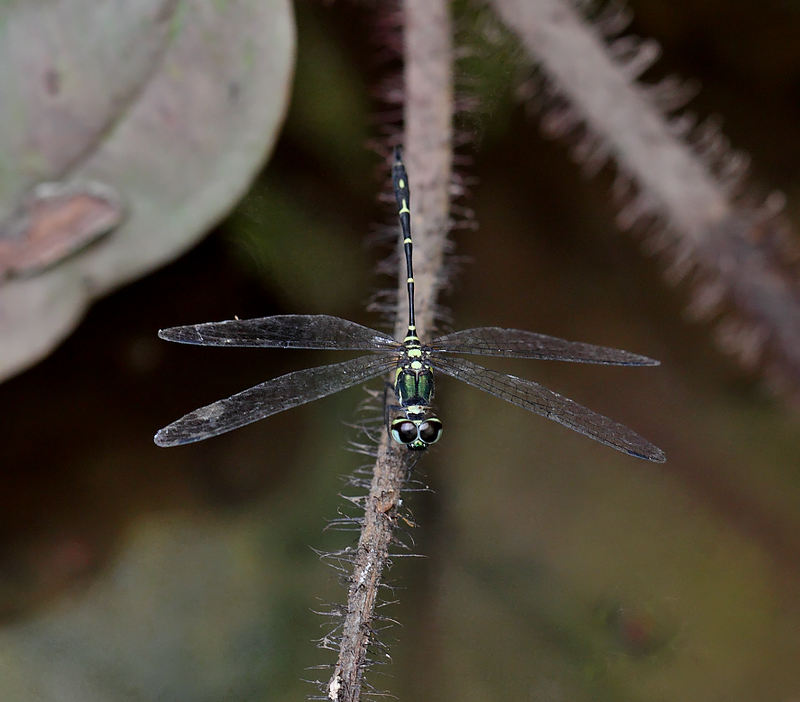 I have encountered this species at MacRitchie Reservoir and Upper Seletar Reservoir. 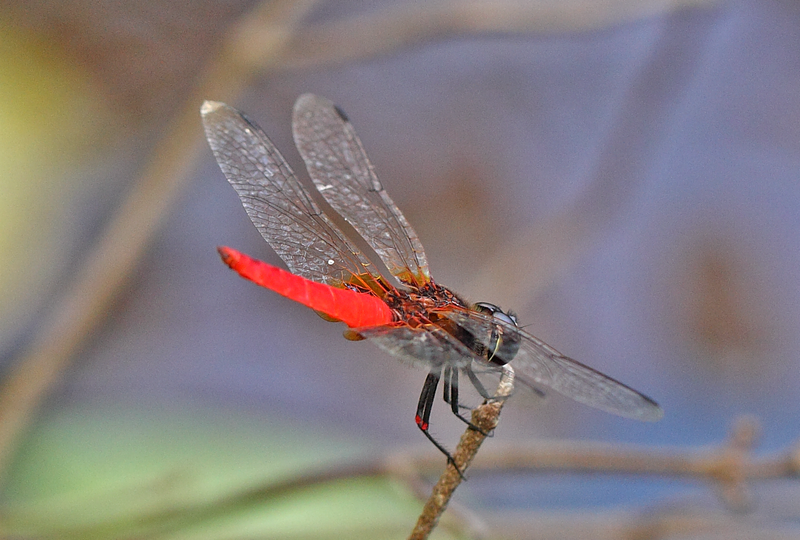 The male has short and broad bright red abdomen. 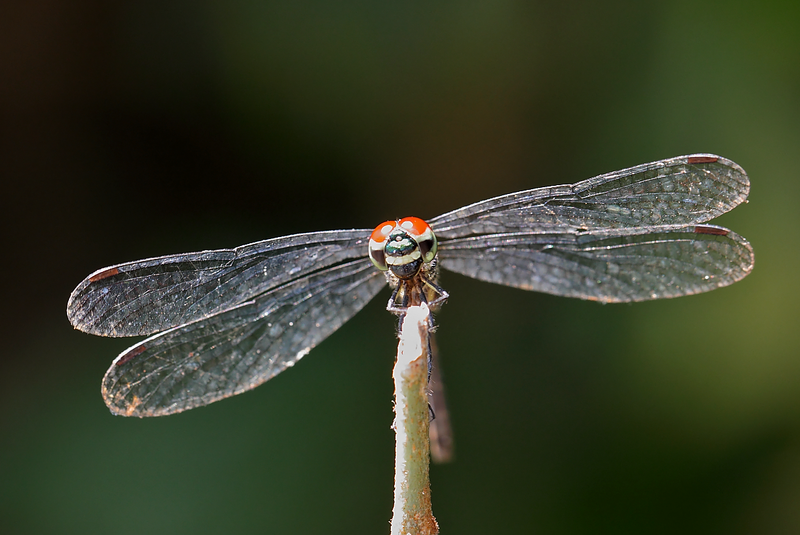 Wings with open venation and dark patch at hindwing base. 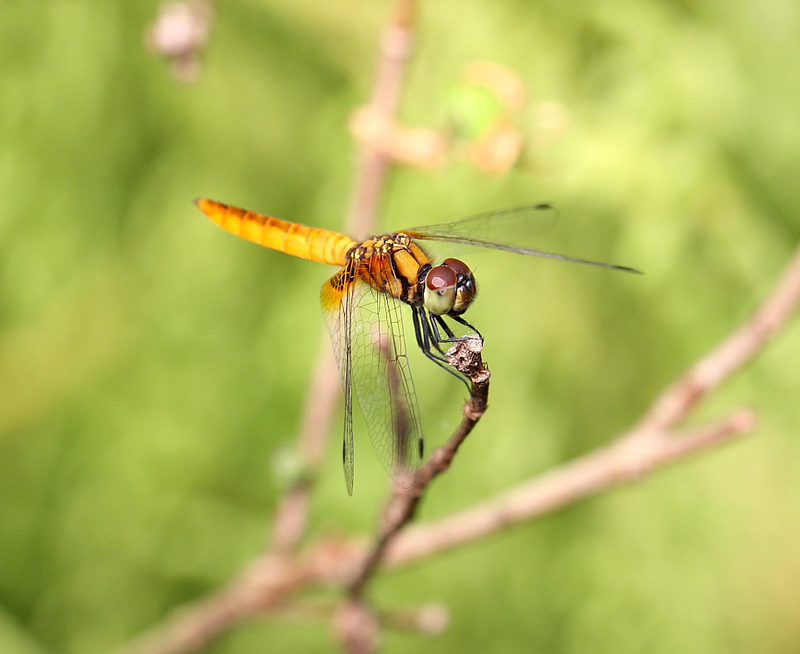 Another distinctive feature is the reddish tint at the distal ends of the hind femora of the male. 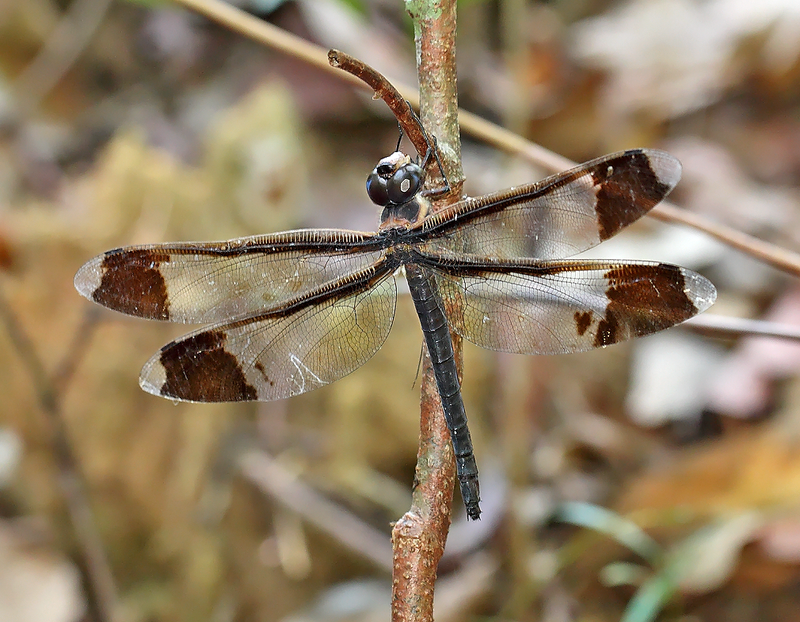 Female is olive brown. 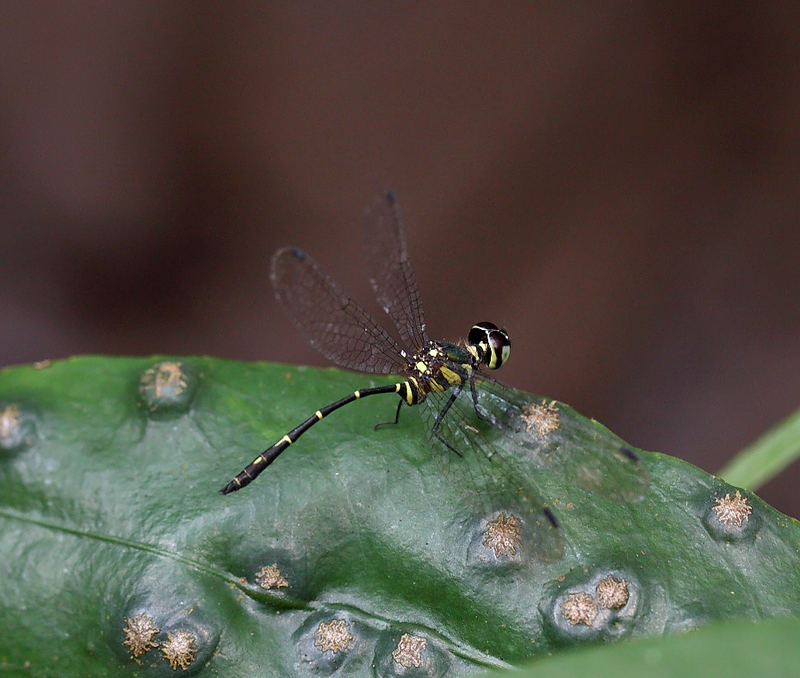 This species is also very inconspicuous and wary. 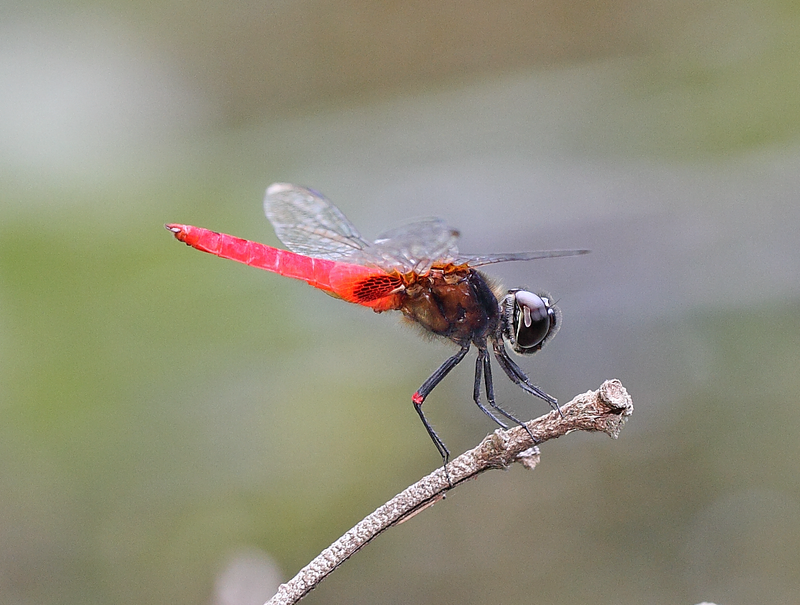 Male prefer to perch in the centre of ponds or a distance away from the edge of the reservoir, and perform an obelisk position under the sun. 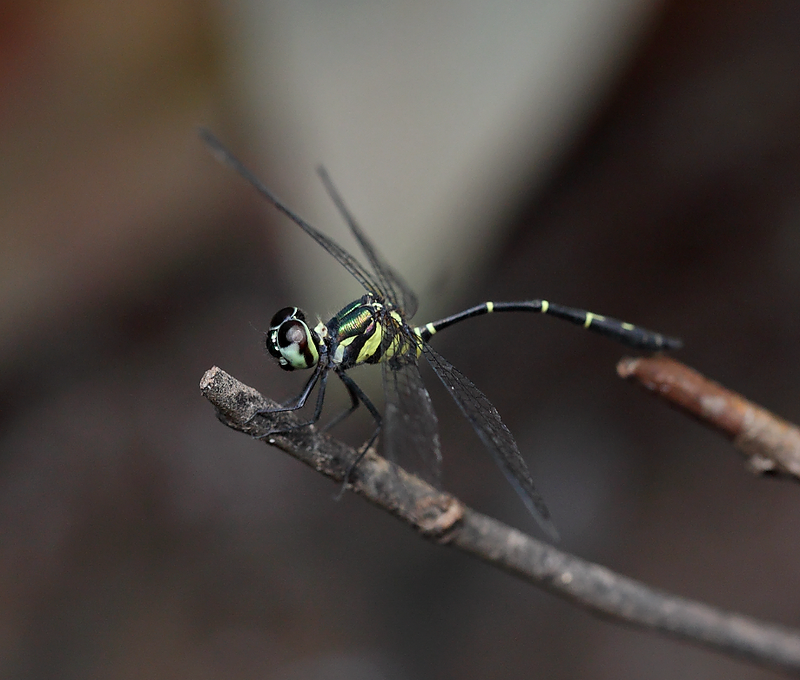 Males are especially active in the early morning where several individuals can be seen fighting and chasing away rival males. 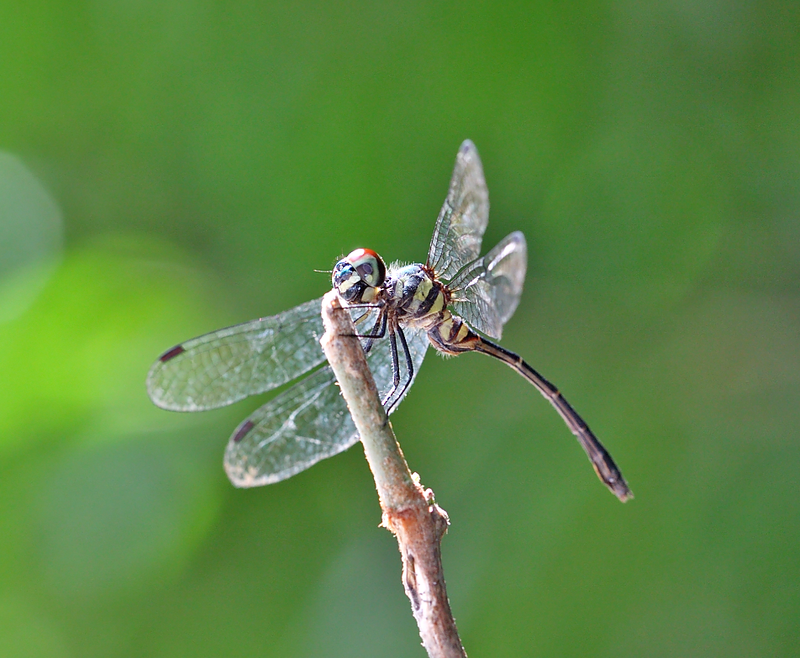 By late afternoon, they are less active and hidden away to the treetops. 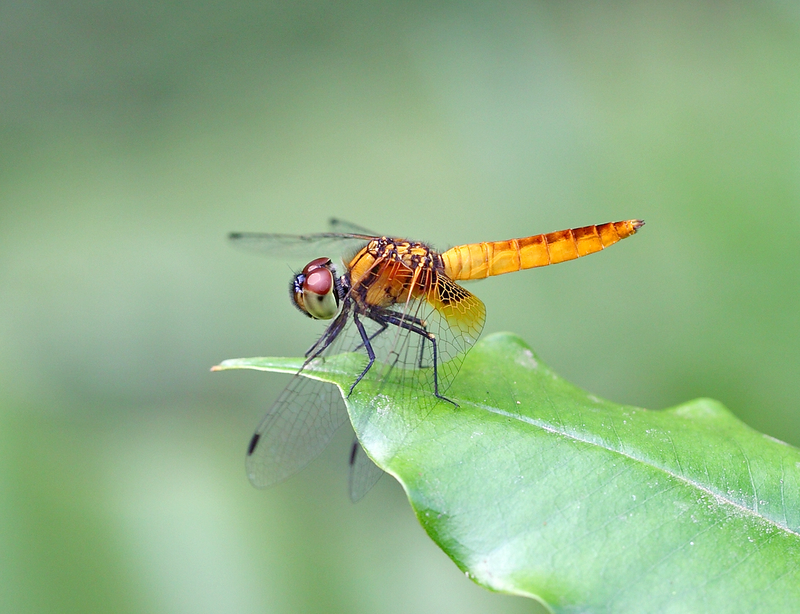 I am not sure if there are two colour forms of the male species that exist in Singapore. 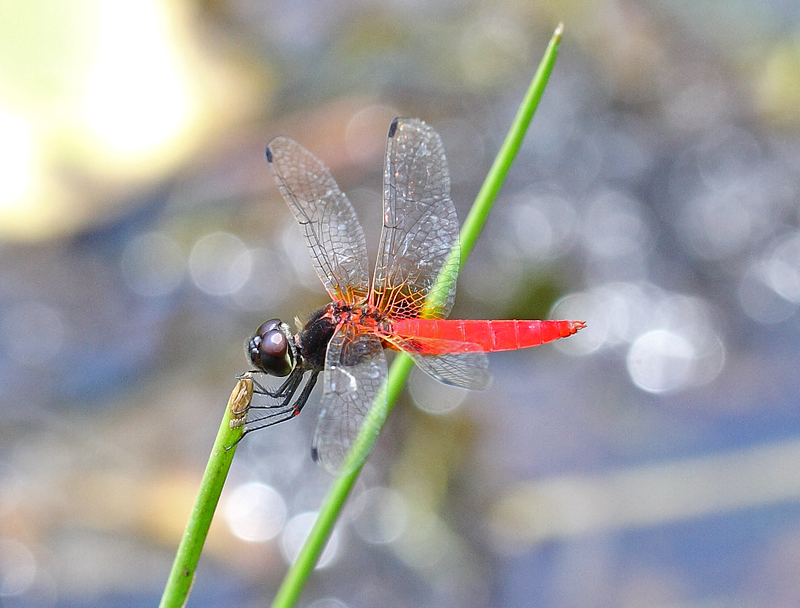 I have observed both the red and yellow form. 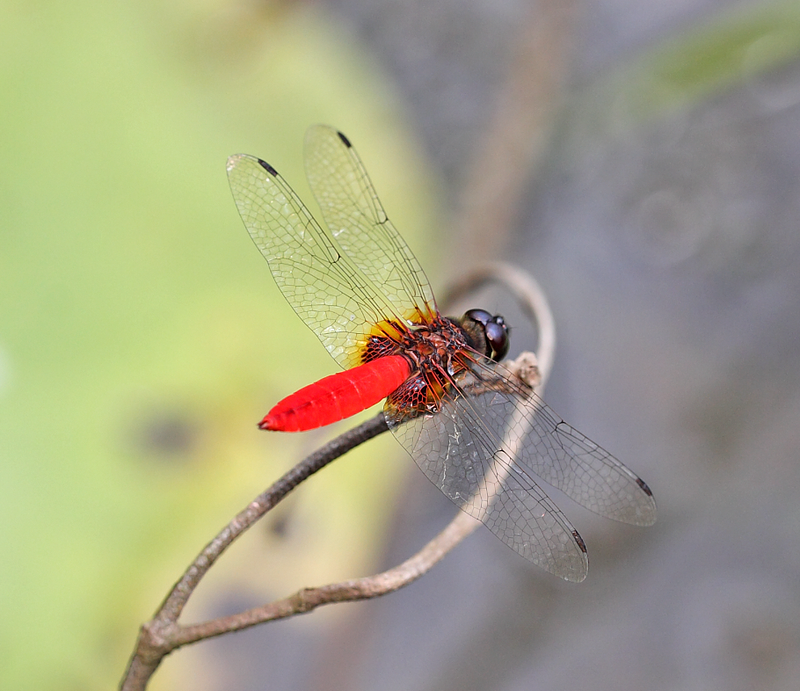 The red form is more “common” whilst the yellow one is rare. 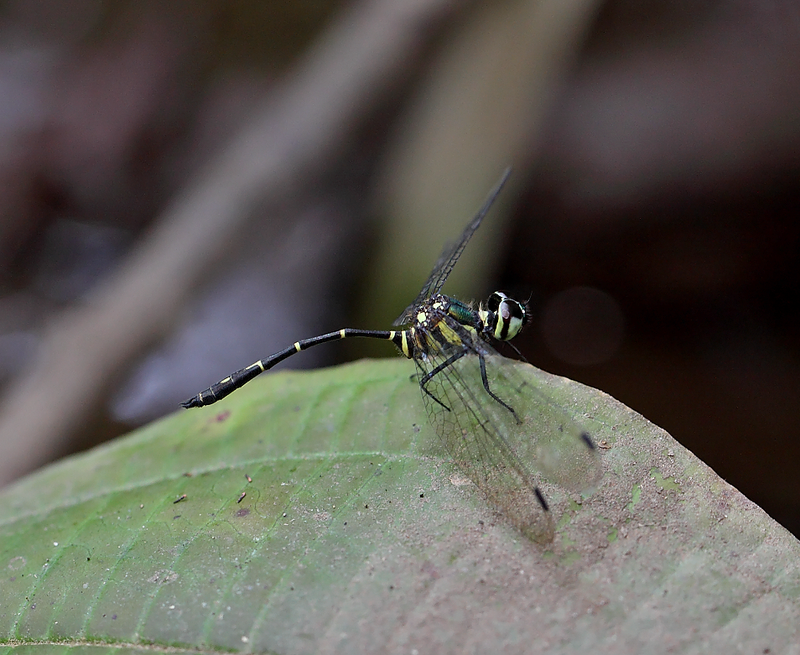 Macrogomphus quadratus – the large green-eye gomphid! 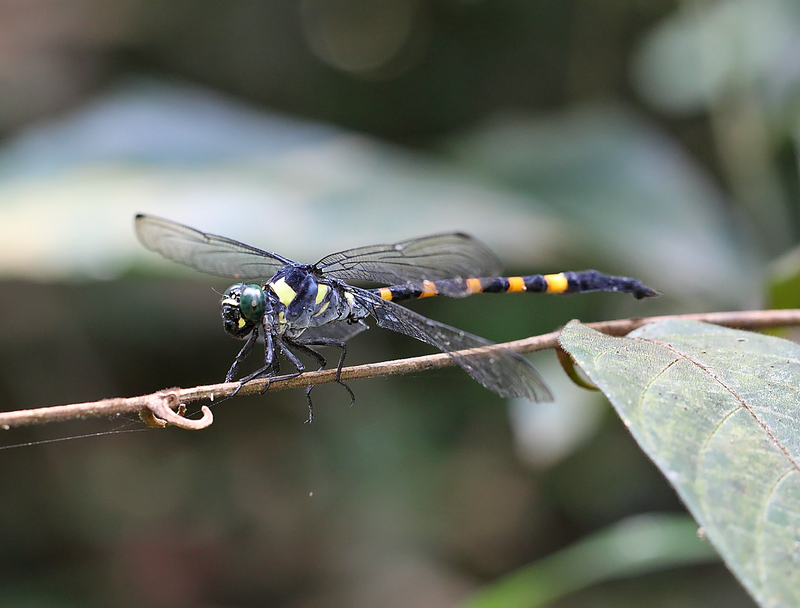 Macrogomphus quadratus is undeniably a large and ferocious-looking gomphid which frequent slow flowing streams in the Central Catchment Area, such as Upper Seletar Reservoir, MacRitchie Reservoir and NSSF. 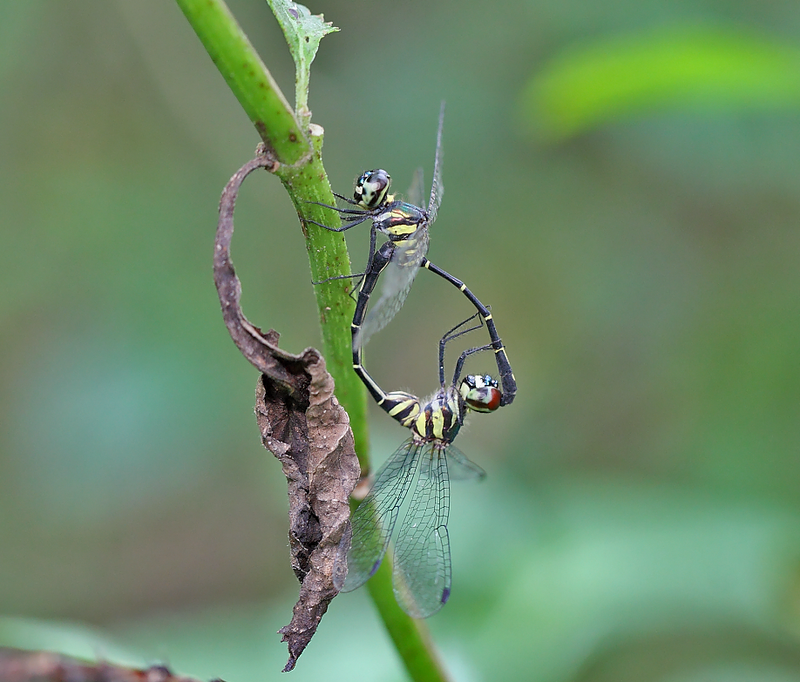 Here are a couple of shots of both male and female captured during a recent trip to the Central Nature Reserve. 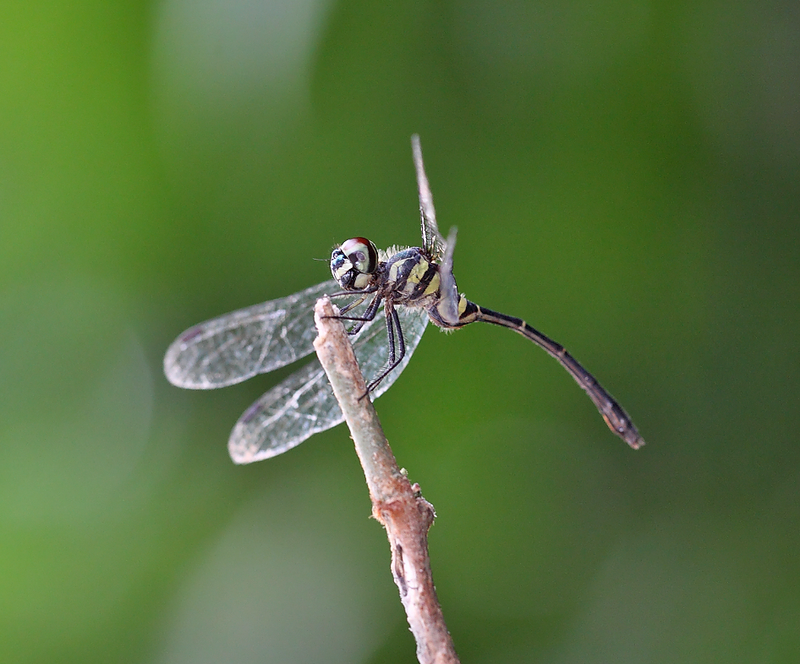 This female tetracanthagyna plagiata was sighted resting on a twig beside a stream in the NSSF. 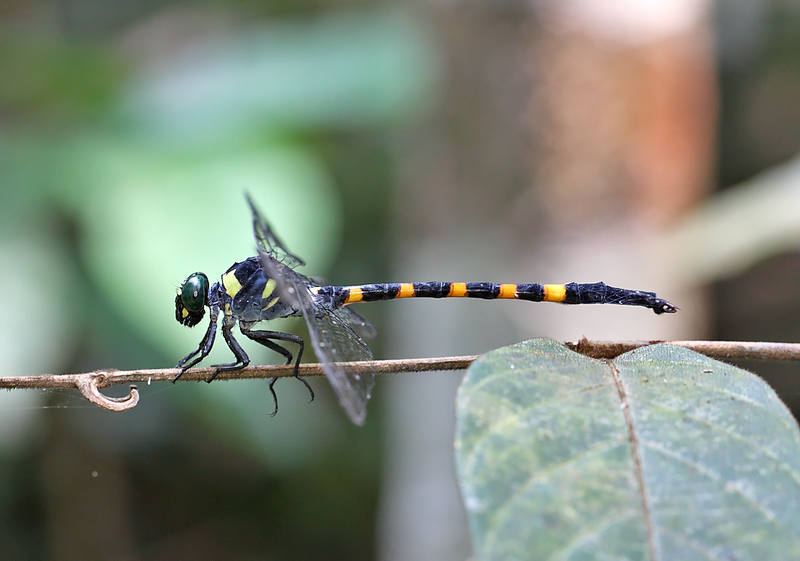 It flew a short distance after I accidentally flushed her out from her resting site. 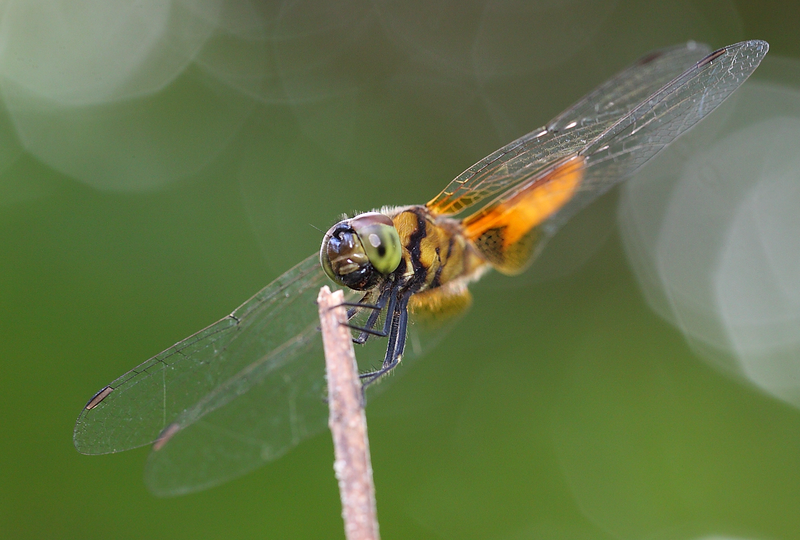 She came back and rested on a twig around knee level. 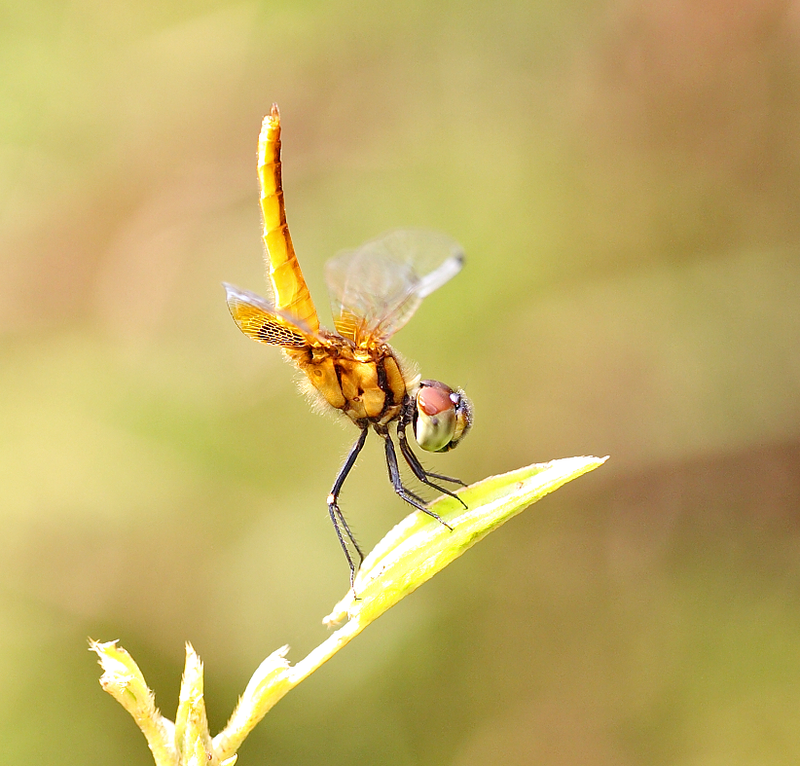 I slowly moved forward and look some shots. 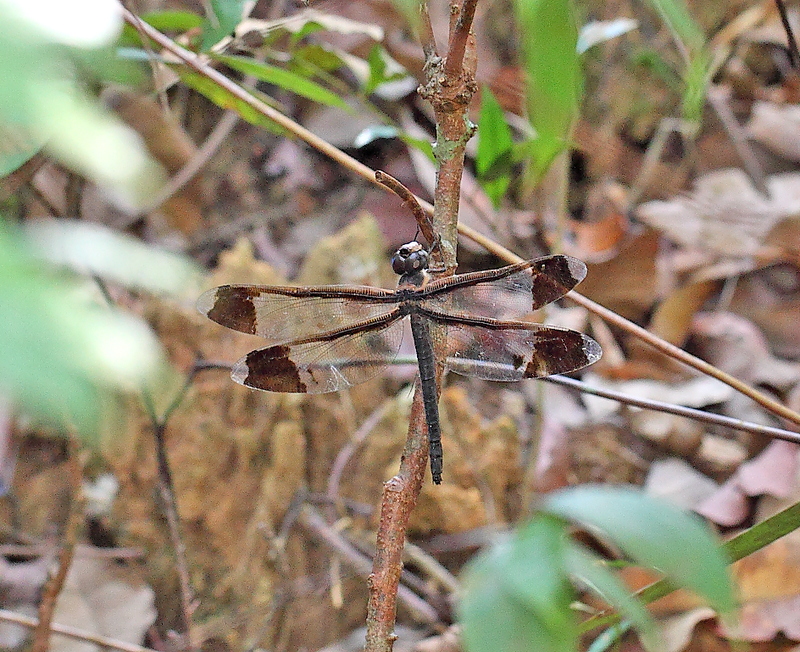 She flew away shortly after and disappeared in the thick forest. 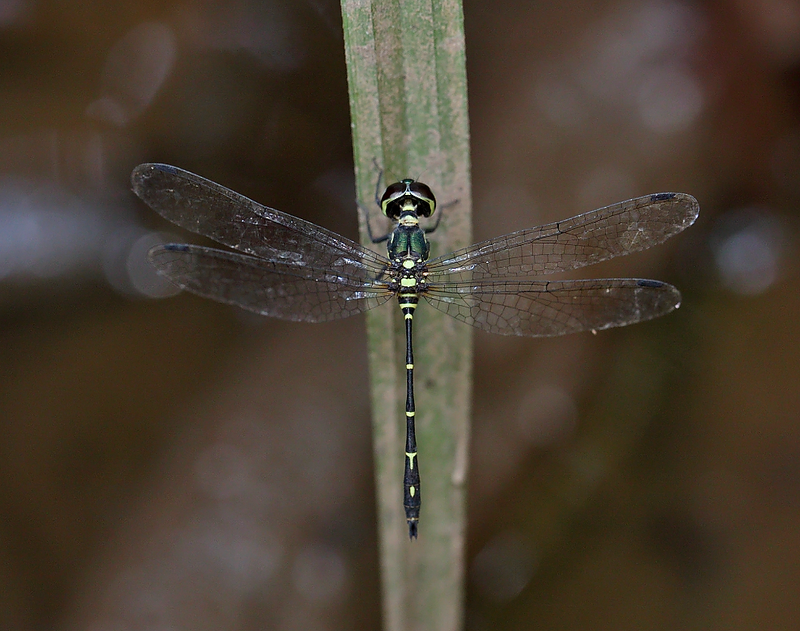 A female with broad transverse dark brown patches near the wing tips. 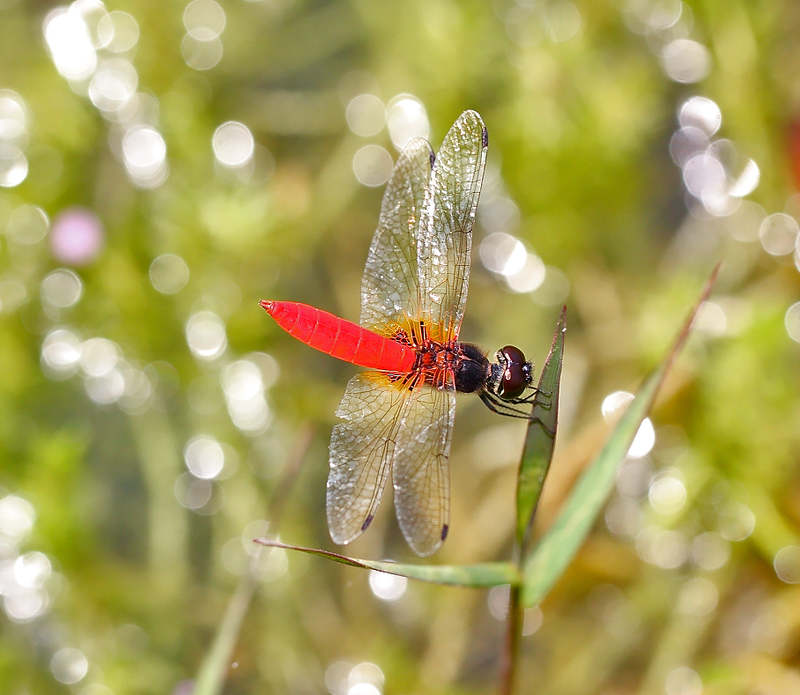 Very large size, body length >100mm. 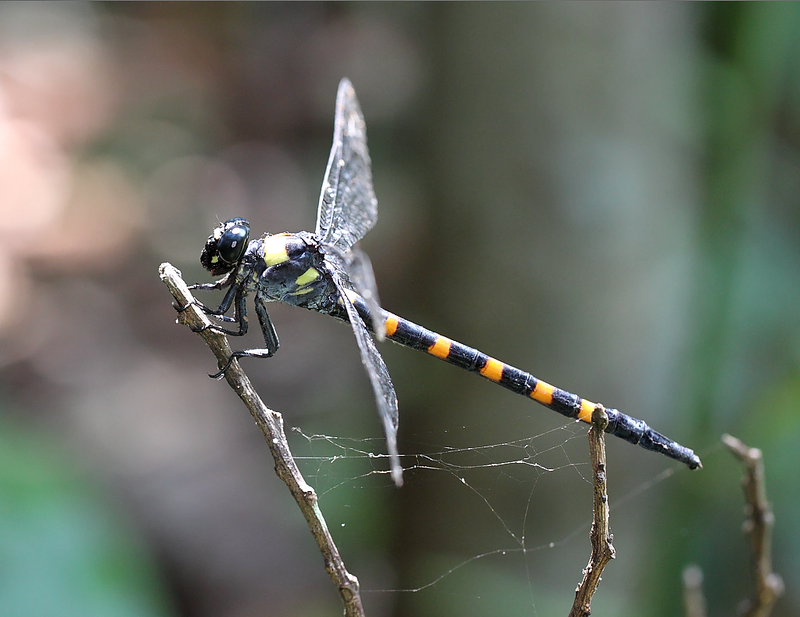 There have been isolated sightings of this species at the Central Catchment Nature Reserve, such as UPR and MacRitchie Reservoir. 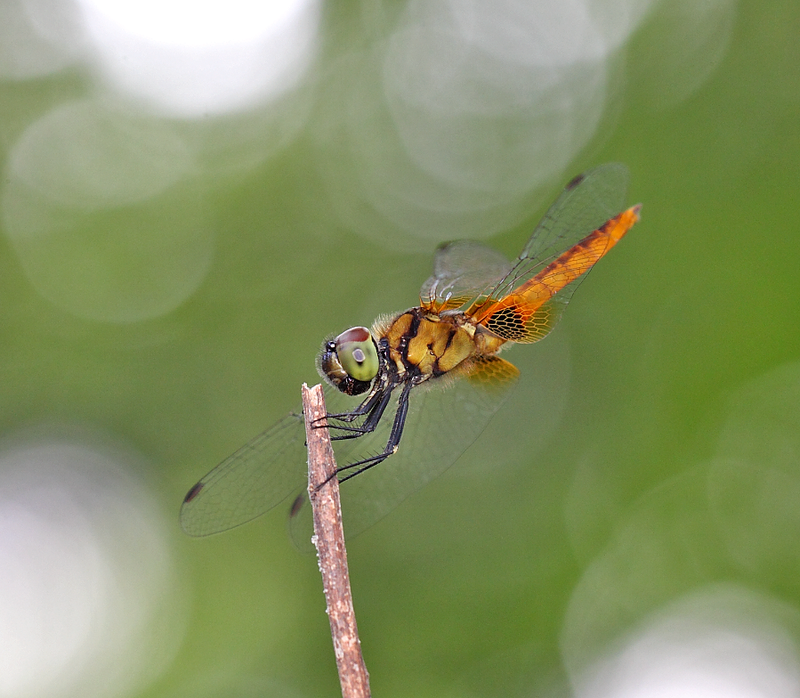 So far, I have seen and photographed a female at Chestnut avenue forest and a male at MacRitchie Reservoir. 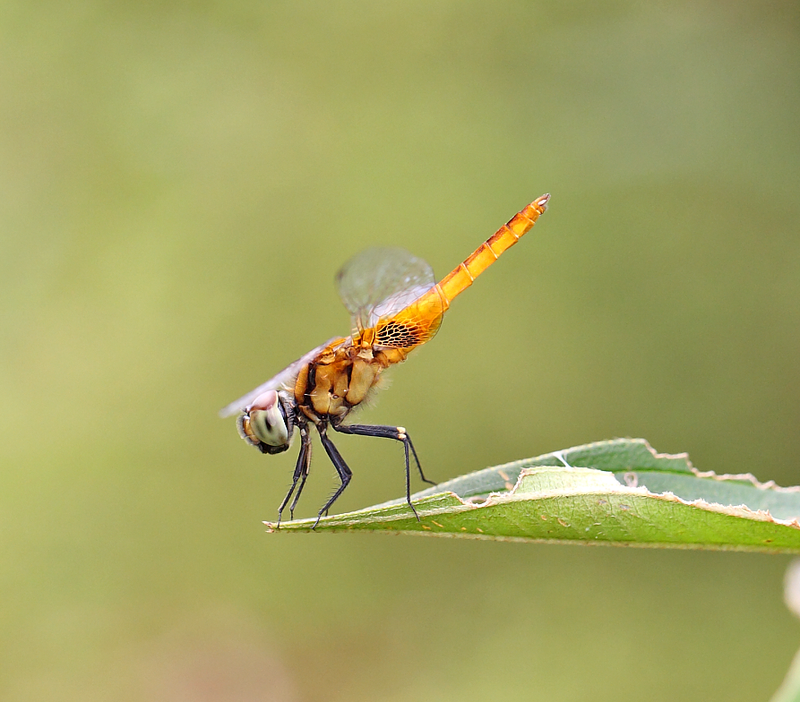 I have published the very rare and elusive potbellied elf sometime ago in 2013. 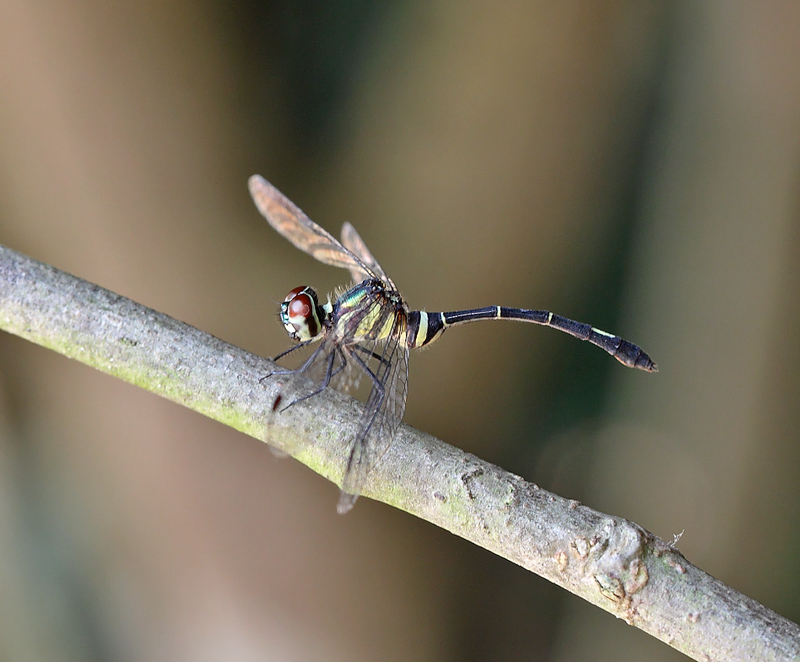 This was the 1st time I have seen a single male at the Central Catchment Nature Reserve and a single female was also observed at another part of the nature reserve. 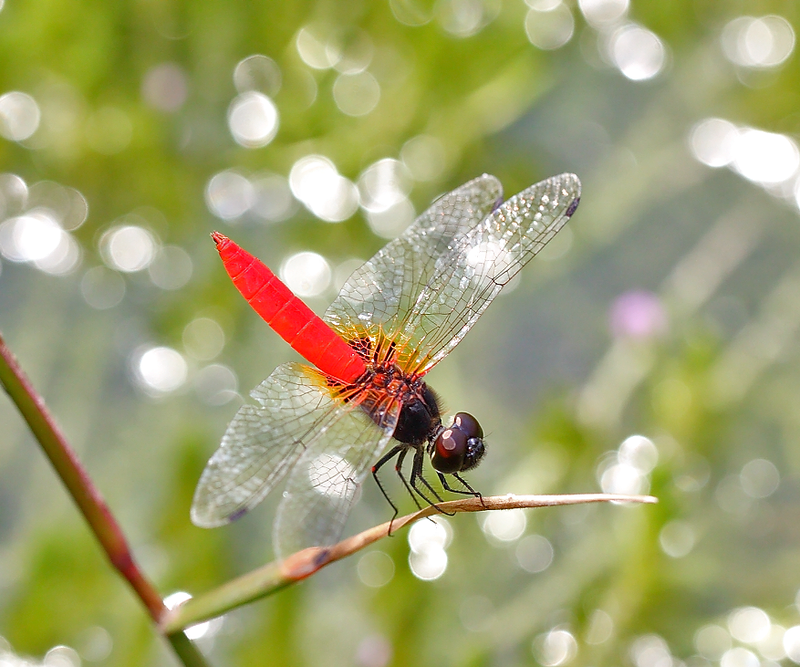 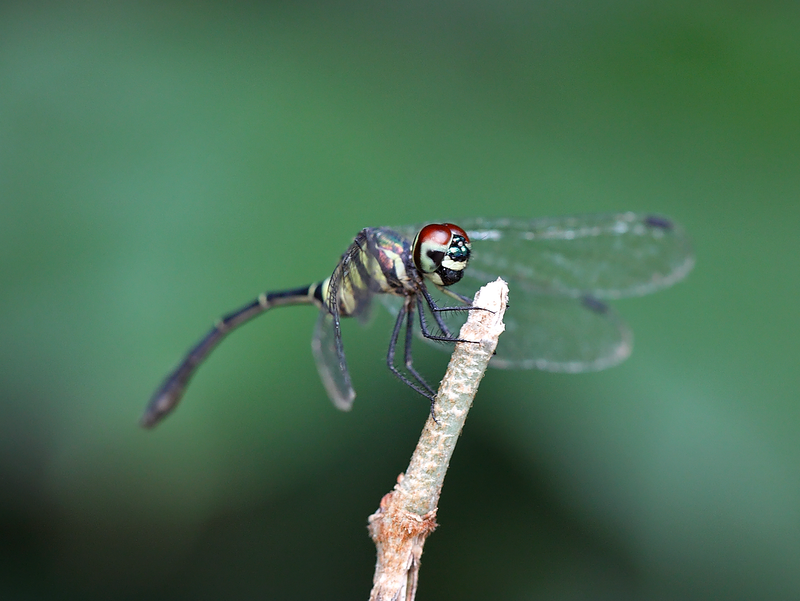 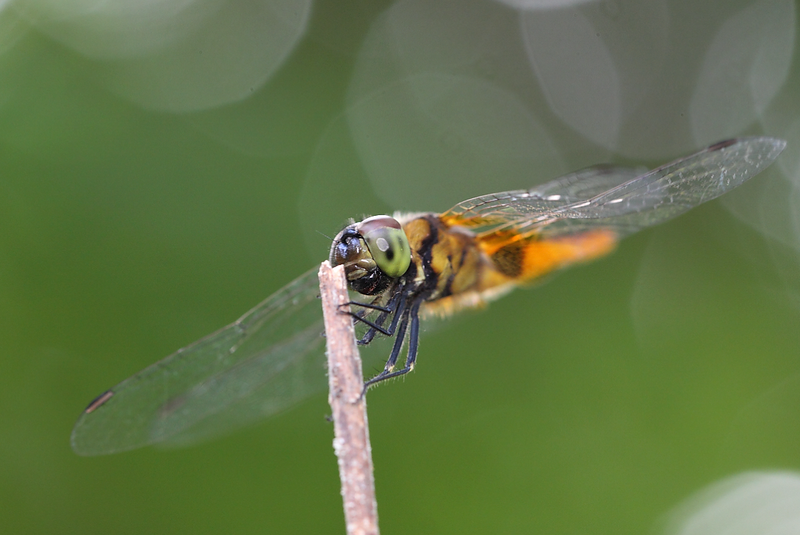 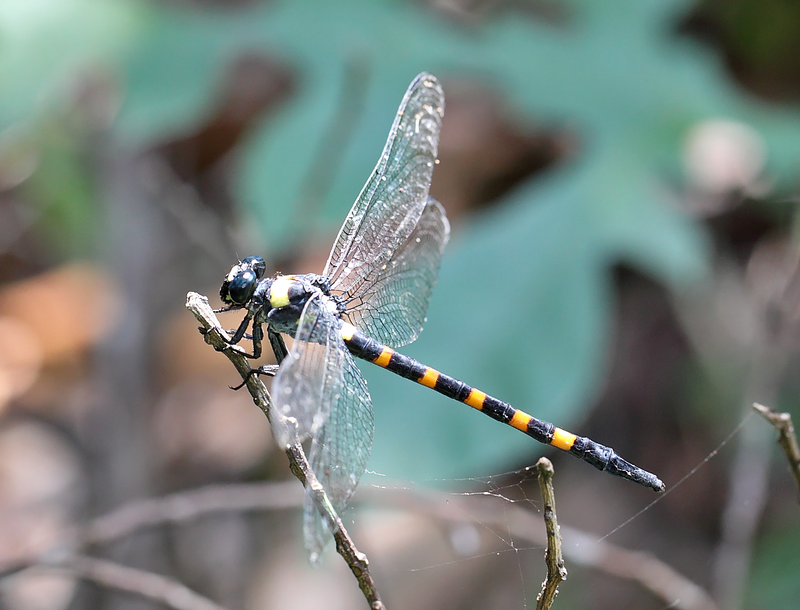 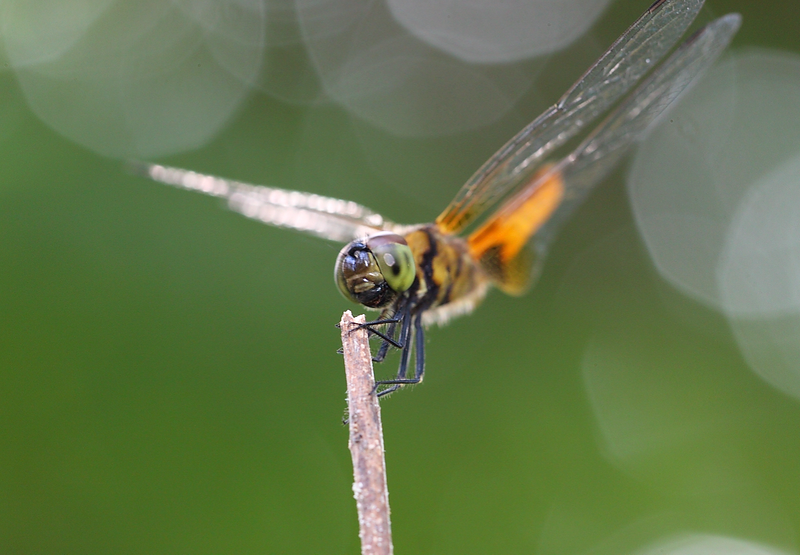 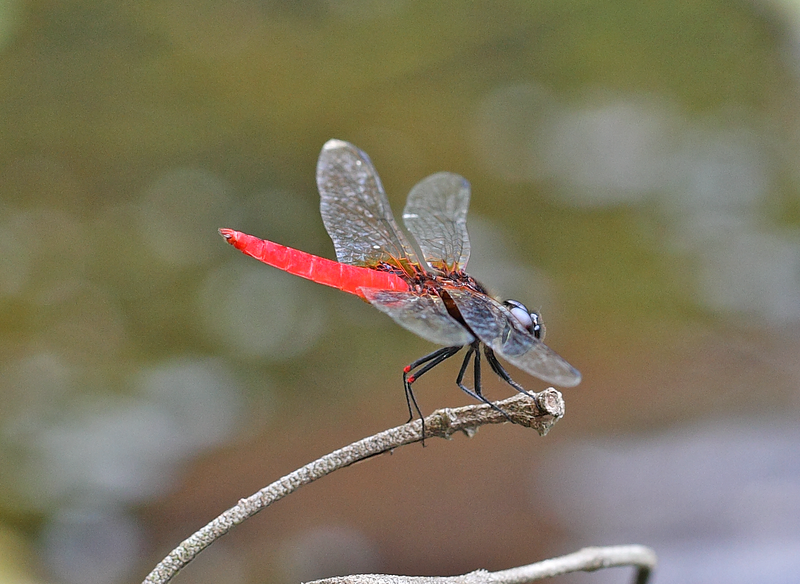 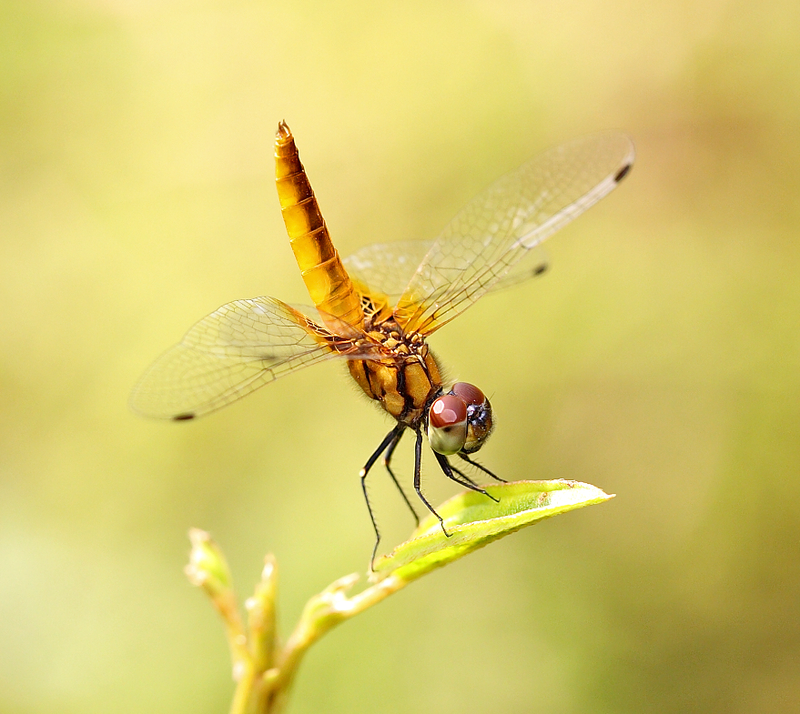 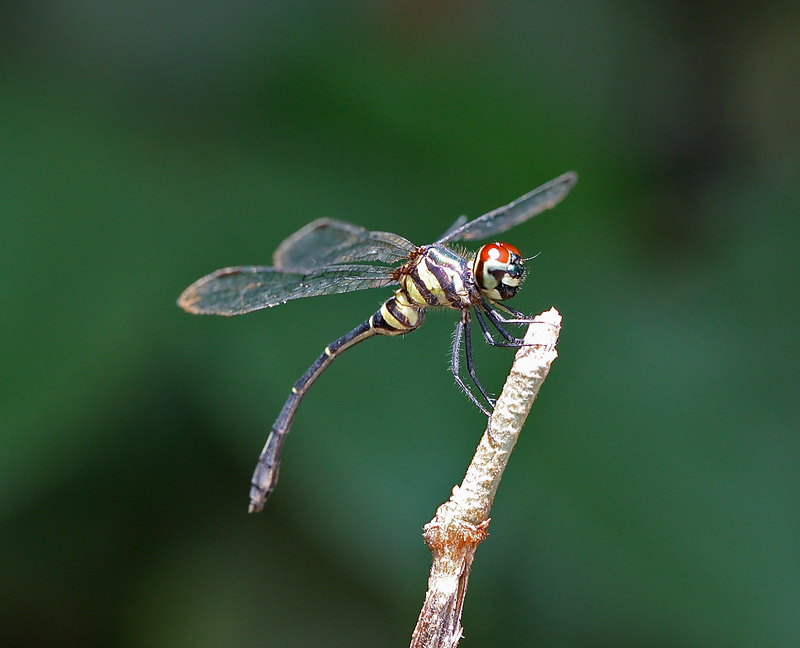 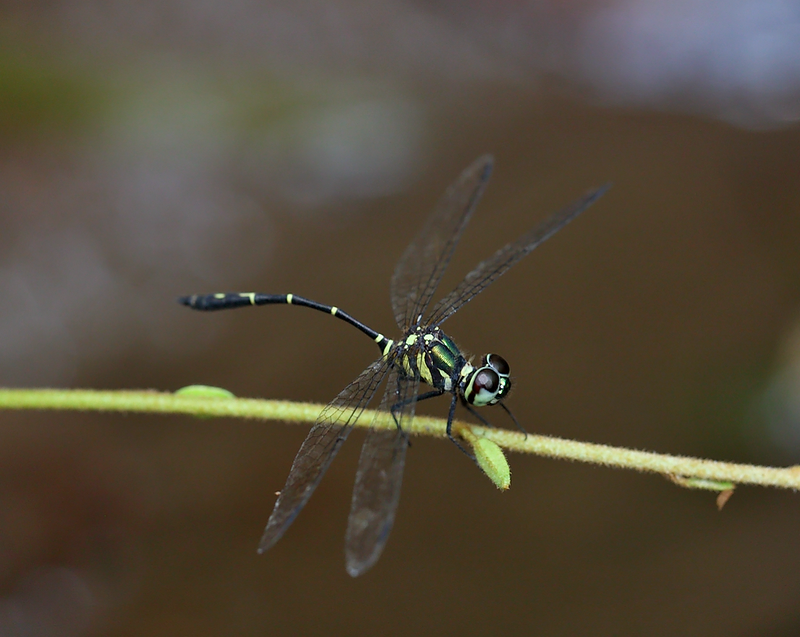 Due to the very rare status of this dragonfly, it was listed as endangered in the Singapore Red Data Book. 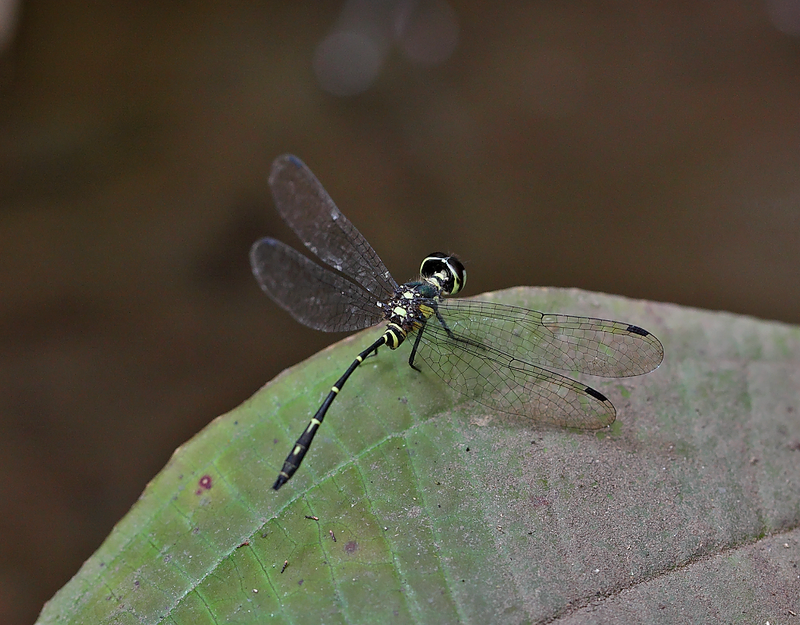 The male was found in the shaded forest pool in the Central Nature Reserve. 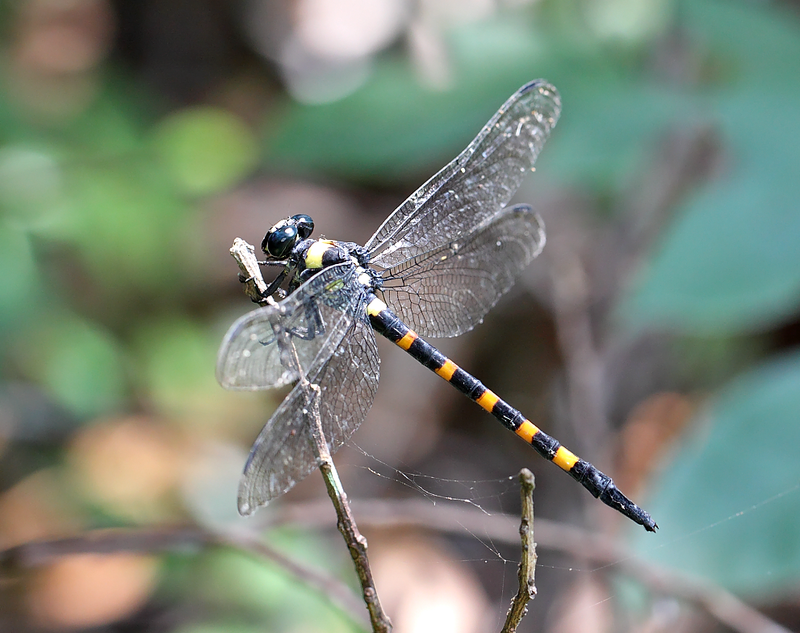 Due to it’s very small size, about 24-25mm in body length, I would have certainly missed it, if not for the male Libellago hyalina that I am photographing nearby. 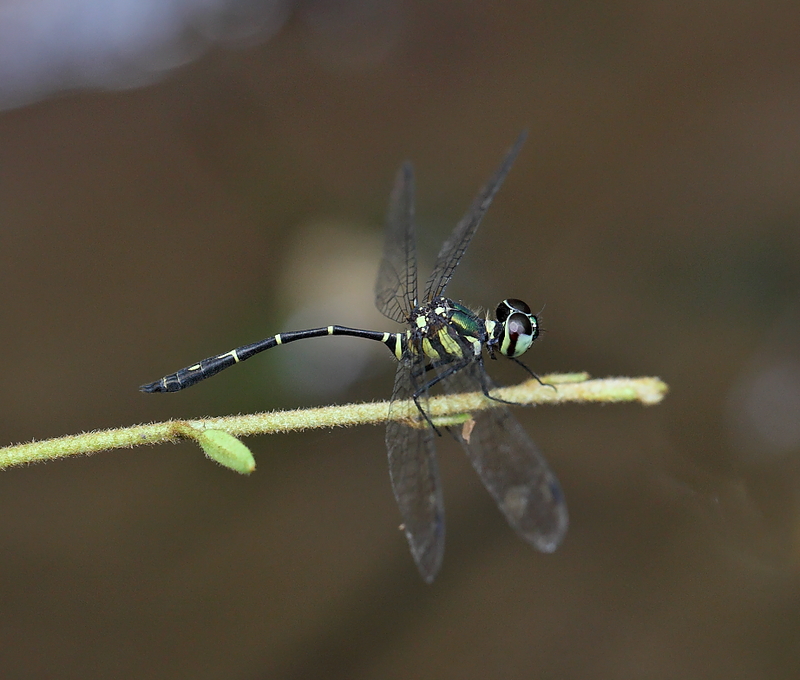 The male as shown below was perching very near to the water surface of the pool, probably waiting for the female for mating. 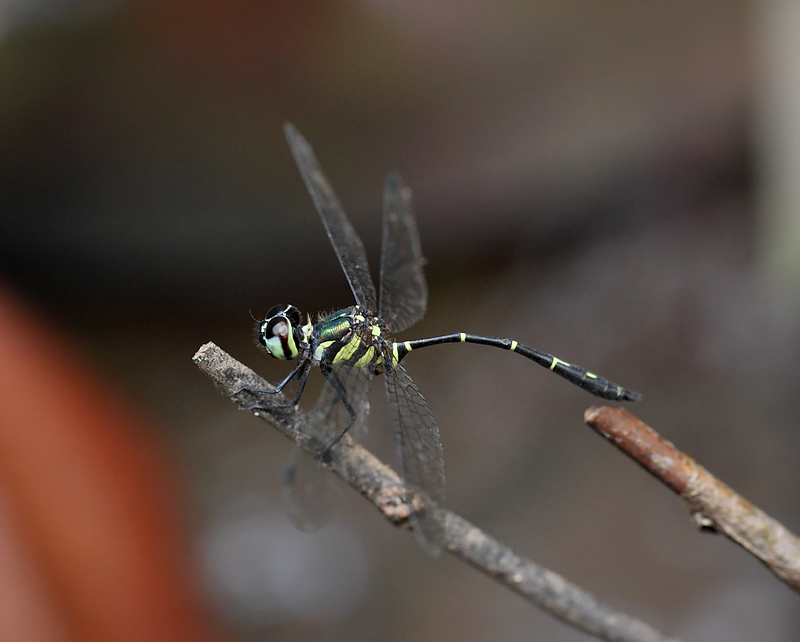 The female, on the other hand, was found far away from any water source. 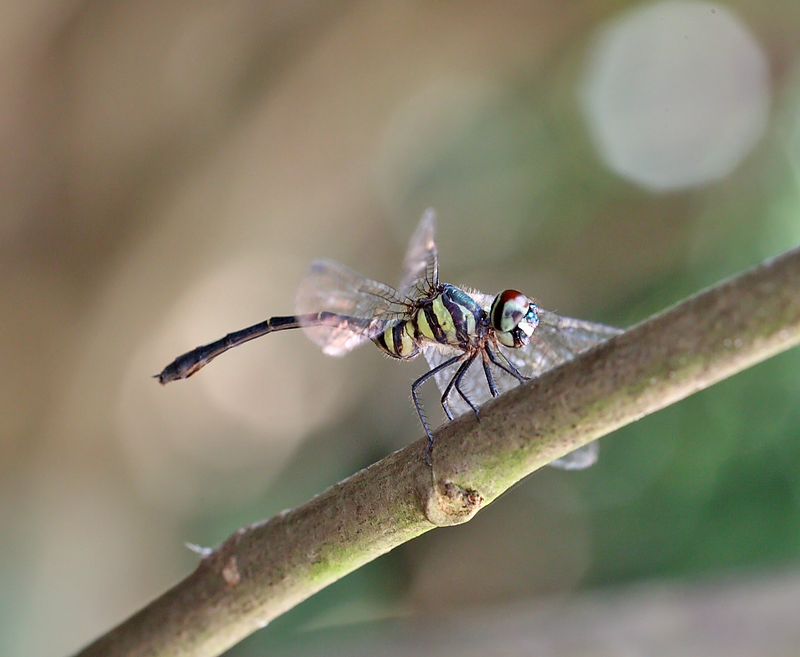 She was perching quite high up on a twig in bright sunlight. 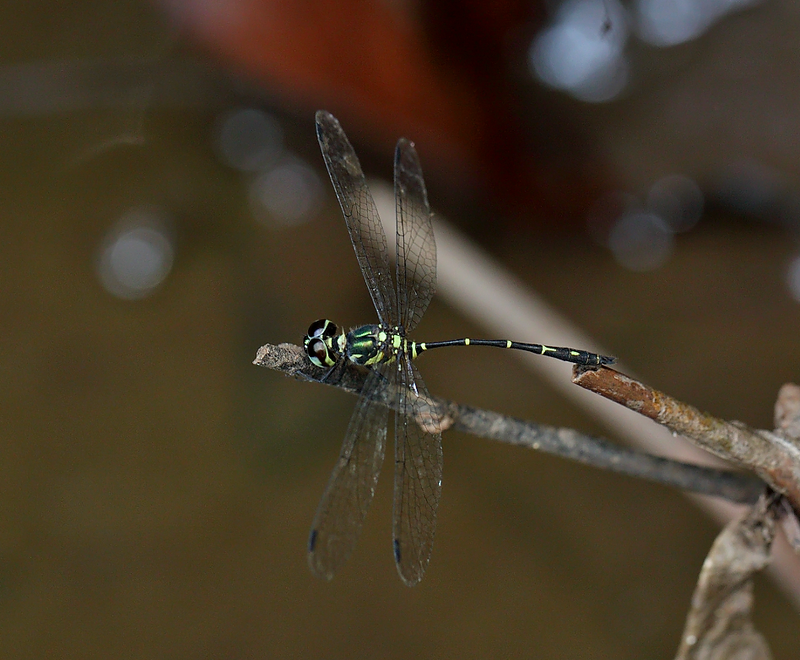 I was quite surprised at the location where she was found because she was perching just beside the carpark. 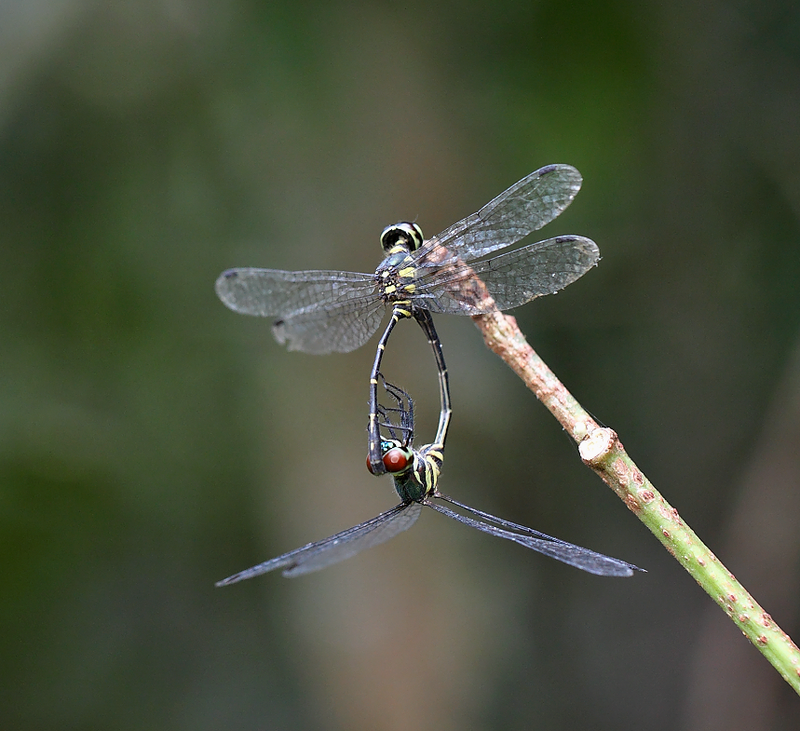 These photos of a mating pair was taken in 2013, which I have published here for the first time. 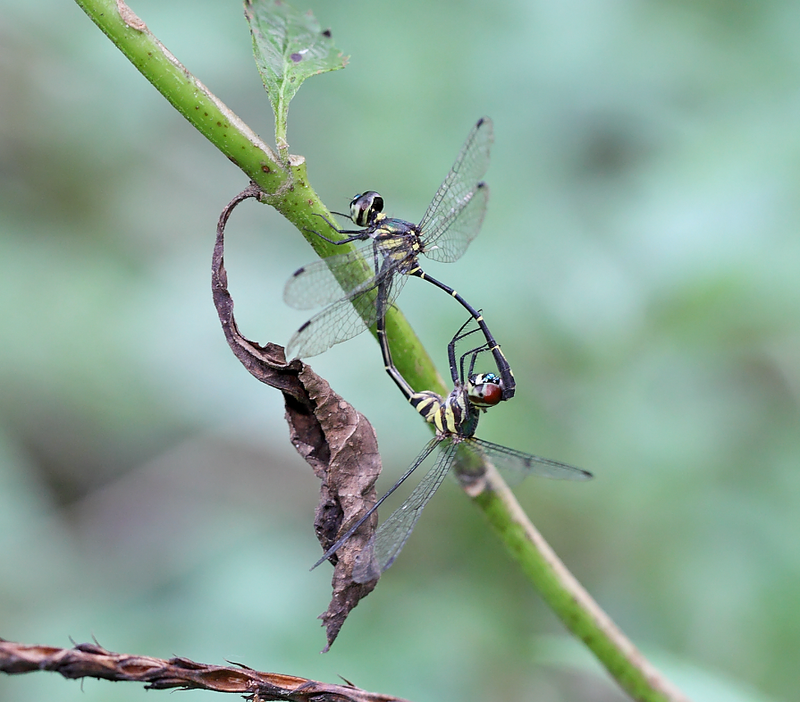 The pair was found at a forest trail deep inside the nature reserve, and was found a few hundred metres away from the nearest forest pools.